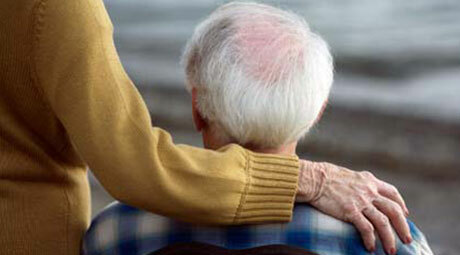 Heritage Green provides a range of options to suit you and your loved one’s needs. Thank you for your inquiry about the Heritage Green Seniors Complex. We are pleased to inform you that our 4-story Senior Apartment and Retirement Home complex and 3-story Nursing Home are situated in a park-like setting on the mountain in Stoney Creek, on the outskirts of Hamilton, Ontario, and consist of 110 self-contained apartment units, a 21-bed Retirement Home and a 167-bed Nursing Home. The Heritage Green Seniors Centre was built in 1982 and offers 14 two-bedroom apartments, 90 one-bedroom apartments and 6 one-bedroom handicapped apartments. All apartments are designed to provide an environment that offers appropriate levels of challenge, support, security, independence, privacy and a home-like environment. This allows the individual to function independently in spite of any handicaps. The Seniors Centre overlooks a city park, ideal for quiet strolls, feeding of birds and animals, picnics, and other activities. Valley Park Community Centre, also in the park, includes a public library, swimming pool, and skating arena. Rental rates are as directed by the City of Hamilton. A common lounge for all tenants to socialize and enjoy each other’s friendship. A Craft Room that is used for crafts, meetings and a hairdressing salon. An Activity Room that is used for games, films, potluck meals, private family parties, Wednesday night meetings and Saturday evening vespers. Home on the main floor. Laundry room on each floor. A Seniors Club for active tenants to get involved and participate in the activities. Social events may include potluck suppers, Thanksgiving and Christmas banquets, bazaars, International suppers, film nights, Amateur nights and group games. Raised garden boxes available to plant and harvest vegetables and flowers. Exercise equipment available within the building. Van transportation available for shopping, outings and out of town trips. If the tenant has air-conditioning, there is an additional charge of $30.00 a month for the four months from June through September. Outside parking is available for a monthly fee of $20.00. The vehicle must be owned and operated by the tenant. Telephone: Telephone service is only available through our in-house system. Reasonable rates, personal service. Cable TV: Available through Cogeco. Internet: Available though various providers. Monthly statements are mailed to each tenant. Pre-authorized Payment plan is mandatory. Have a pet? There is a charge of $10.00 per month. Tours can be arranged by calling Superintendant, Fina Lizondro at 905-308-6406. The Retirement Home at Heritage Green was established in March 1992. Heritage Green’s retirement home, licensed for 21 beds, was established in March, 1992 in one wing of the Seniors Complex. This provides a critical link between the Seniors Apartments, the Community and the Nursing Home. Our Retirement Home gives quality to life, independence, security and enables the resident to continue to be a contributing member of society. A Seventh-day Adventist Church is on site to serve the residents of our Nursing Home, the tenants from our Seniors Apartments and the members of the Community. There are several other churches servicing our community in the near proximity; Baptist, Presbyterian, United, Alliance, Pentecostal, Anglican, Roman Catholic, Salvation Army, and many others that are in the city. We are very proud of our operation here and welcome your inquiries or application at your earliest convenience. Tours of the Retirement Home can be arranged. Call us today! Volunteer programs to enrich the residents’ lives by bringing the outside world in. Opportunities to intermingle with the tenants in the Seniors Apartments for fellowship, social and spiritual programs. From our original 34-bed nursing home established in 1983 in our Seniors Retirement building, we moved to our current Nursing Home in January, 1991. This gracious Georgian manor home for 167 residents is designed to provide a home-like environment, privacy, independence and quality care. Presently we employ approximately 200 staff at Heritage Green Nursing Home and are currently accredited with Accreditation Canada. We offer basic, semi-private and private accommodations. We are licensed for 167 beds. The Home retains one advisory physician plus other physicians to serve the medical needs of our residents. Home cooked meals with a choice of vegetarian or regular entrees are provided daily by our dietary department. Active participation in activities, crafts, worship, singing, exercise, outings and other activities are coordinated by our Program Director. Volunteers from the Senior Apartments and the Community provide added entertainment, friendship, worship services and assistance for more wholesome life to our residents. Whenever possible, accommodation for married couples wishing to share a room is arranged. Spiritual fellowship is provided in the Nursing Home and Seniors Building and in the Church and whenever possible, spiritual fellowship outside of the Nursing Home is encouraged. Health principles of the church regarding tea, coffee, strong drink, tobacco and unclean meats are upheld by Heritage Green Nursing Home policies. Other health principles we uphold include serving only decaffeinated coffee and tea, no alcohol, and no pork or shellfish. Also, we are a completely no smoking facility. Family participation is strongly encouraged. Scheduled tours of the Nursing Home are available.